Basic Electricity returns tomorrow night with a special concert featuring Michael Vorfeld’s Glühlampenmusik and Wouter Jaspers’ Field Trip at the König Otto in Berlin, Neukölln - come along at at 20:00 for what promises to be an audio-visual treat! 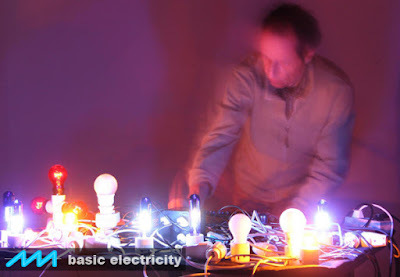 There’s more info at the Basic Electricity Blog and here is the Facebook Event. Look forward to seeing you tomorrow night at Basic Electricity! U7 Rathaus Neukölln or U8 Boddinstr. Seating is limited to 50, so please come on time. The bar will be open for drinks and sandwiches. support navs.modular.lab - buy a track!